The LA C-PROTECTION made by Grafotec Spray Systems is the world-leading application system and has been specially developed for applying corrosion protection liquids to float and flat glass. The nozzleless spray system provides fine and uniform application. 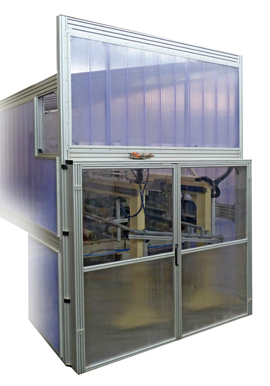 The innovative design permits maintenance work without interrupting the production process.